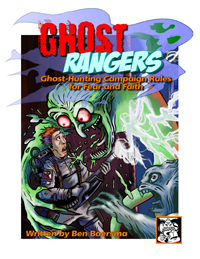 ● You can use the rules within to create your own Ghost Rangers adventures. So if you love catching ghosts and don’t mind being covered in slime, this supplement is for you. Just remember, if anyone or anything asks if you are a god, you say yes!